Situated near Choukori in the Indian state of Uttarakhand, Kaaphal Hill is your best holiday retreat in the Middle Himalaya. 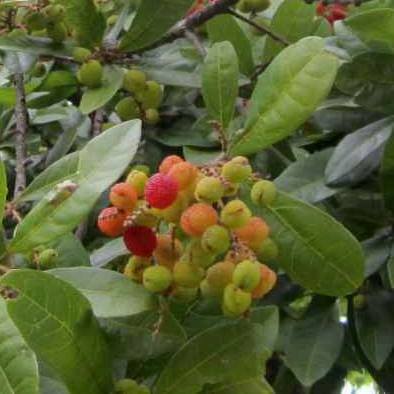 It is located in an expansive rural farm surrounded by fruit orchards and pine forests. Kaaphal is the name of popular, seasonal fruit of this region. This place abounds in rhododendron, oak, walnut, plum, peach and pine trees which makes it a haven for birds and butterflies. Come here for a relaxing and invigorating stay in the lap of Himalayan hills to rejuvenate your spirits. 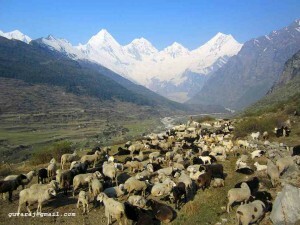 As this place is perched at a height of 2000 mts, it offers a grand panorama of peaks stretching from Garhwal to Nepal. 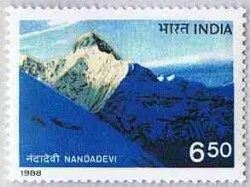 India’s second highest peak Nandadevi ( 7,816 m ), much revered locally, is the presiding deity of the land of Gods ( ” Dev Bhoomi ” ). Other prominent peaks like Nanda Kot, Panchachuli and Api are also present in this corner of the Himalaya. 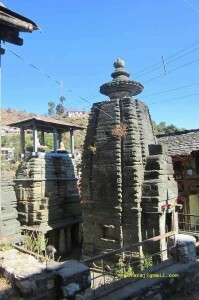 Choukori and Berinag are famous as tea estates in this tract of the Himalaya known as Kumaon. Kaaphal hill farm is located at the gateway to Eastern Kumaon, which makes it a good resting place on the way to high altitude valleys of Johar, Darma and Byas bordering Nepal and Tibet. The popular Pindari and Namik glaciers can be approached easily from here. The Indian route to holy Kailash – Mansarovar ( in Tibet ) passes through this area. Adi kailash ( within Indian territory ) is a famous pilgrim trek. In addition to these, Nanda devi and Panchachuli Base Camp treks can be done by adventure lovers who like a deep exploration of the Himalaya. We also organize guided treks for the interested. Kaaphal Hill retreat is an ideal base for experiencing Kumaon’s spiritual and cultural heritage in places like Bageshwar, Gangoli Haat and Narayan Ashram. The caves at Patal Bhuvneshwar are an added attraction, The nearby Nag temples at Berinag, Pheni Nag, Vasuki Nag and trekkable peaks of Shikhar and Lambkeshwar make good day outings. You can choose to come back by evening to the comfort of Kaaphal Hill or if you wish to camp over night at these hill tops for glorious sun rise and sunset views, there is an option of staying up there in tents. There are numerous nature walks and village treks that give a view of the landscape and a glimpse into the lives and culture of its people. While at Kaaphal Hill farm, you can take walks, meditate in solitude, watch birds and camp under nigh sky or just laze around. Sing and dance around bonfire at night beneath a billion stars. Or just settle with book on a couch quietly or pen your travel journal. We offer a relaxing stay on our home farm and guided treks in Kumaon Himalayas. Winter is the best time for clear views of the snow peaks and short treks. In summer it’s cool. Good as an escape from the hot plains and also for long treks into high altitude valleys. Rainy season is when the hills are greenest and the most relaxing time on the farm. Heavy woolens in Winter and light woolens for the rest of the year.